Episode #192 – The Money is Already Printed – You Just Have to Go Get It! Best news ever! 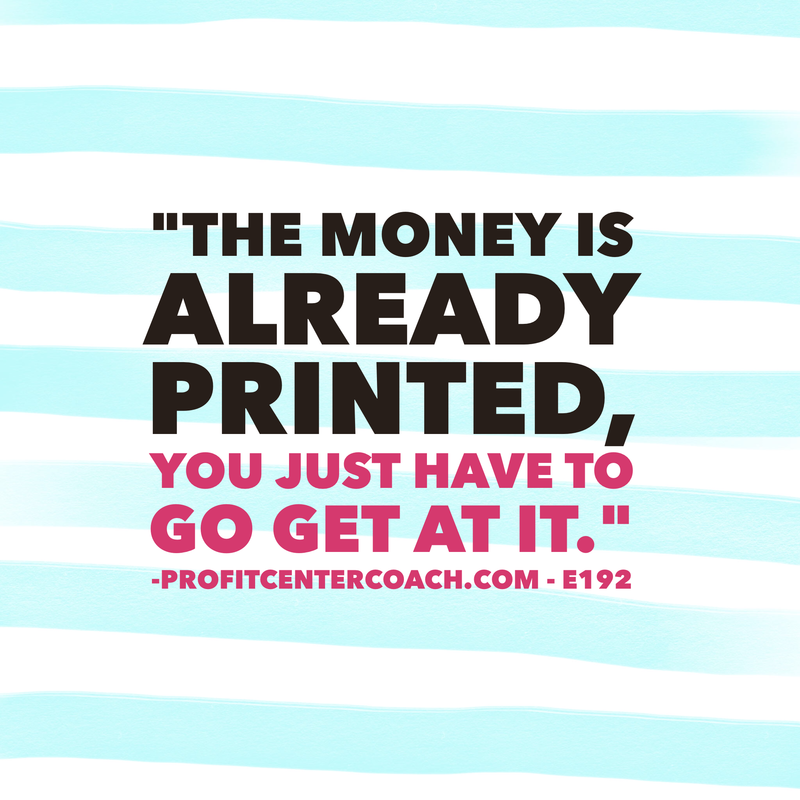 Money is already printed… you just have to go get it! You don’t have to create it, you don’t have to wait for it to dry… you just have to pick it up. This is the whole idea behind the Infinity Marketing Machine, the money is already there, just go get it. You have customers that you’ve already done business with, just do more business with them. The people that already like you and already trust you want to do buy more things from your business. So let’s figure out a way to do more business. Give them what they want. There are two different ways to do this. First, do things to increase your average ticket sale. Your customer is there buying. They want to spend money with you, make them happy and let them spend! Encourage up-sells and add ons. The next way to increase your sales is to create your own database of people and regularly contact them via email, phone, or mail. Sure it may cost 50 cents to mail a postcard, however, if they come to your store and spend $50 it’s worth it! Why call customers? Because people don’t! Start to develop a “personal shopper” type program at your business. The most common type of personal shopper occurs in retail/clothing store… so that might make you wonder how you can do this in your repair shop. Well, call and remind of regular service, tune-up, or tire rotation services due on their vehicle. And clearly email is a great way to stay in touch. Start collecting contact information and create your own database of customers. It’s the best way to go out there and get that cash! You’ll be happy you did. 1- Create a way to capture customer information so you can begin to build your list. This does not have to be electronic, it can be as simple as writing down the name and email address. You can pay someone else to do the “technical” tasks… just make sure to start collecting the info!